Condemned to shoulder the world forever by the gods he dared defy, freedom seems unattainable to Atlas. But then he receives an unexpected visit from Heracles, the one man strong enough to share the burden . . . Jeanette Winterson's retelling of the myth of Atlas and Heracles asks difficult and eternal questions about the nature of choice and coercion. 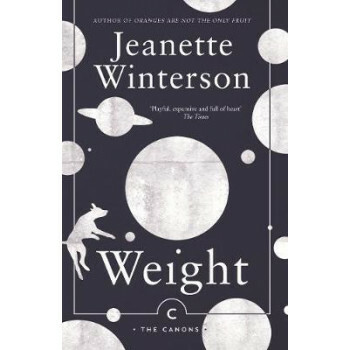 Visionary and inventive, Weight turns the familiar on its head to show us ourselves in a new light.